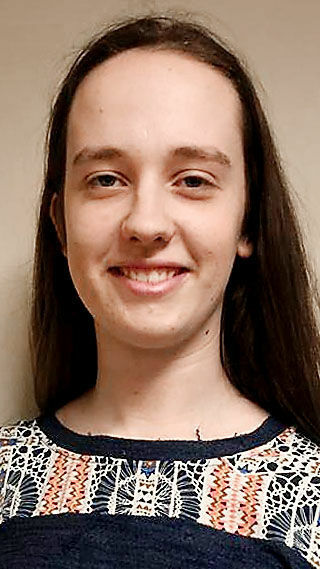 GOLDEN RULE STUDENTS: Chippewa Falls High School student Emma Palmberg and McDonell High School student Laura McChesney were recently honored as “Golden Rule Students” by the Chippewa Falls Kiwanis Club. In honor of their recognition, the Kiwanis Club donated $50 to the charities of the students’ choice. Palmberg, daughter of Doug and Heidi Palmberg, selected Fierce Freedom. McChesney, daughter of Jess and Megan McChesney, selected the Chalice of Mercy in Spain. • Respect for all nationalities, races, ages and gender. • Would be willing to stand up for the rights of others. • Be active in doing community service. • Taking responsibility for one’s own actions. The Chippewa Falls Kiwanis Club meets at noon Wednesdays at Avalon Hotel & Conference Center, 1009 W. Park Ave., Chippewa Falls. For more information, visit chippewafallskiwanis.org. FUNDRAISER: Festival Foods raised more than $291,000 for nonprofit community organizations in Wisconsin in 2018. The beneficiaries in the Eau Claire area were the Alzheimer’s Association and Junior Achievement. Festival Foods stores offer shoppers a way to donate at the checkout through icon campaigns. Employees at each Festival Foods location vote on the nonprofit organizations they want to support. The exceptions were the Salvation Army and Muscular Dystrophy Association, which will have icon sales at every Festival Foods location this year. GRANT: The Dunn County Sheriff’s Office was awarded a $1,000 grant by the National Police Dog Foundation. Owner and operator of K-9 Services, Kevin Sheldahl, whom the handler and canine will be training with this spring, matched the $1,000 grant. The money will be used for the purchase of a canine, canine and handler training, and equipment needed for the canine. 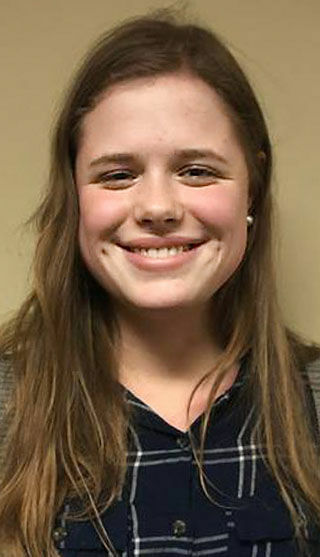 RANKED: Macie VanNurden of River Falls, a freshman in the College of Engineering, ranks among the top 2 percent of students in her college at Iowa State University in Ames, Iowa. AWARD: Bonni Falkner has received the University Staff Employee Appreciation Award for March at UW-Stout. Falkner, of Elk Mound, is a senior accountant in the Provost’s Office. She is also chairwoman of the University Staff Senate. Falkner has been employed at UW-Stout for 33 years and during that time has earned three degrees from the university. Falkner received a certificate of recognition, UW-Stout travel mug and a UW-Stout blanket. Students, faculty and staff may nominate a university staff member who demonstrates a commitment to excellence and the university community. The award, in its 13th year, was established by the Chancellor’s Office and is co-sponsored by the University Staff Senate. FUNDRAISER: The Chippewa Falls Kiwanis Club raised $8,000 during the 18th Annual Kiwanis Classic Tasting Gala at Loopy’s Bar and Grill in Chippewa Falls. The club presented $4,000 of the proceeds to the Chippewa County Foster Care Program.